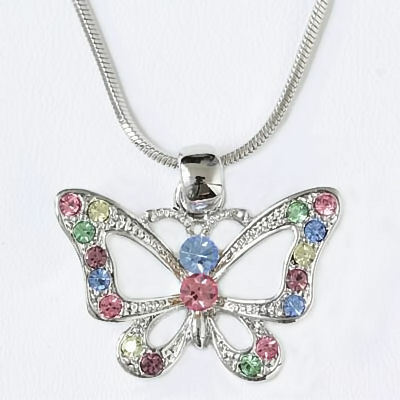 This Austrian Crystal studded butterfly pendant comes with an 18" Cobra chain. 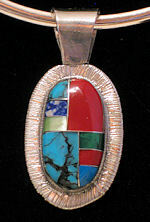 The butterfly is approximately 1" wide x 3/4" tall. Lead free. Items in this category that are the same price can be combined to meet quantity discounts. Our catalog will recompute your order automatically when each new discount level is reached. Deeper discount levels are reached when you buy 4, 6, or 12 items that are in this category and that are the same price.